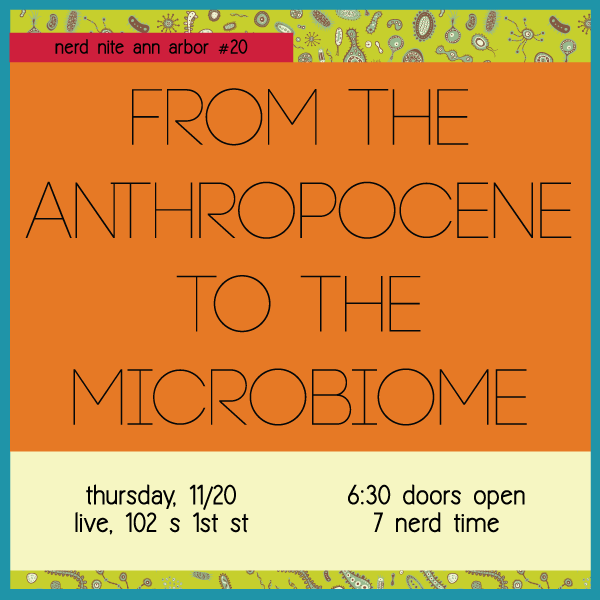 From the big picture of the anthropocene to the very very little (but critically important and all around us) organisms that make up the human microbiome, this month’s Nerd Nite speakers will share big questions and recent research related to complex relationships. James Arnott of the Aspen Global Change Institute will fill us in on just what the $X#! the anthropocene is, and why it’s an important concept to consider at this particular moment of human history. Pat Schloss, a University of Michigan professor lives on a family farm (home to sheep, cows, pigs, chickens, and seven Homo sapiens and their microbiome!) 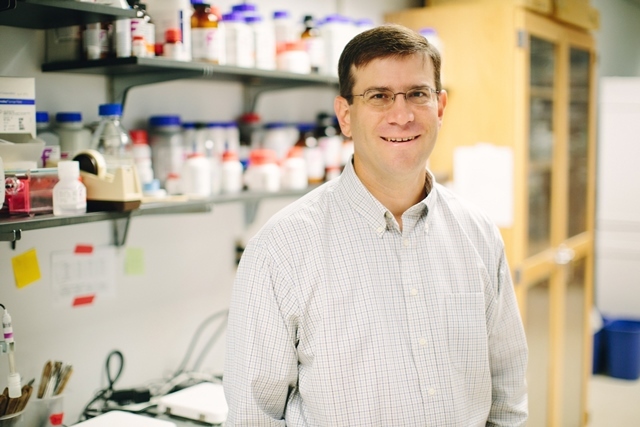 gets paid to see bacteria everywhere and spends a lot of time “obsessing about whether we should be obsessing about them.” He’ll walk us through the human microbiome, and what we know and have yet to find out. When: November 20th 2014, doors at 630pm, talks at 7pm! 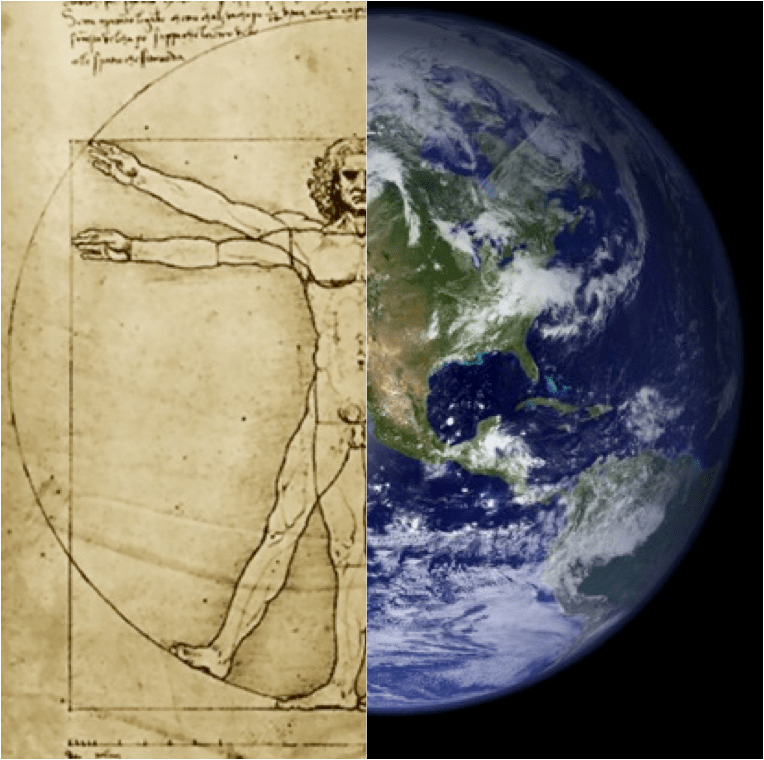 This talk will introduce you to the extraordinary moment in Earth and human history that you (yes, you) are living through. We’ll look at why now is different than before and why the future is dependent on a unlikely species that grew out of a cave into a skyscraper and now shapes the future of earth, wind, and fire. The anthropocene is now—and here to stay—so come learn what we know, what you should know, and what we all must do! James is a student, researcher, and enthusiast for thinking big. He is pursing a PhD at the School of Natural Resources and Environment at the University of Michigan. Meanwhile, he is Program Director of the Aspen Global Change Institute, an interdisciplinary think tank for global environmental issues. I’ll discuss what we currently know about the human microbiome, but mostly I’ll point out a lot of really cool things that we don’t have any explanations for and how we’re going about trying to understand what’s going on. I get paid to see bacteria everywhere and spend a lot of time obsessing about whether we should be obsessing about them. I have been a professor at the University of Michigan since 2009 where I study the human microbiome. My family has a farm in Webster Township where we raise sheep, cows, pigs, chickens, and seven Homo sapiens and their microbiome.